Well after months and months of resisting, I finally caved in and spend a whooping £29 on an eye shadow stick, well hey it was my birthday and I had to feel special [inserts a rolling eye emoji *justifications*]. 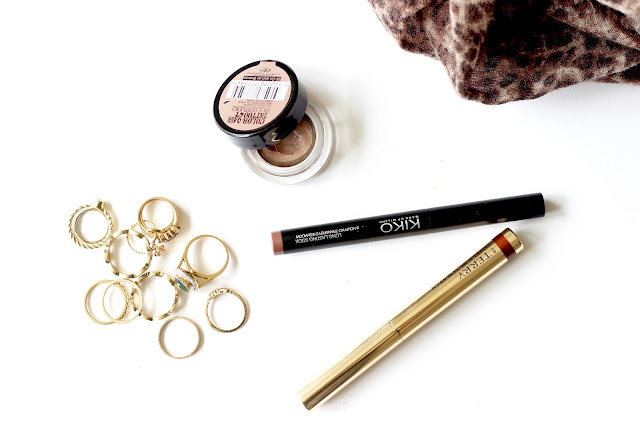 But if you have no better excuse to justify a ridiculous splurge (which I totally understand), here are few dupes you might want to consider. Not that any of the dupes outstand my beloved By Terry Ombre Black Star eyeshadow stick. If By terry is 5 star then these dupes could be a 3.5-4 star, so if you can resist those extra twinkly bits here are the closest dupes for Bronze Moon. And these dupes are *drum-roll* please, Kiko no.6 Golden Brown and Maybelline Color tattoo in On and On brozen. The former being almost the exact dupe since it in a pencil form and the color match it nearly identical. 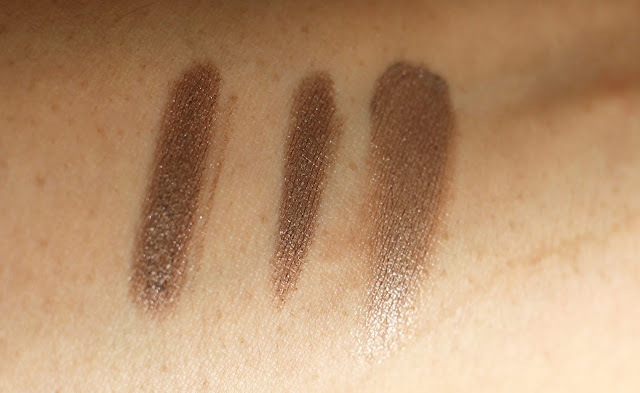 However, Mabelline color tattoo lacks that little bronze-y brown warmthness in terms of color match but being quite readily and easily available Maybelline could be the closest option if you cannot get your hands on the KIKO one. 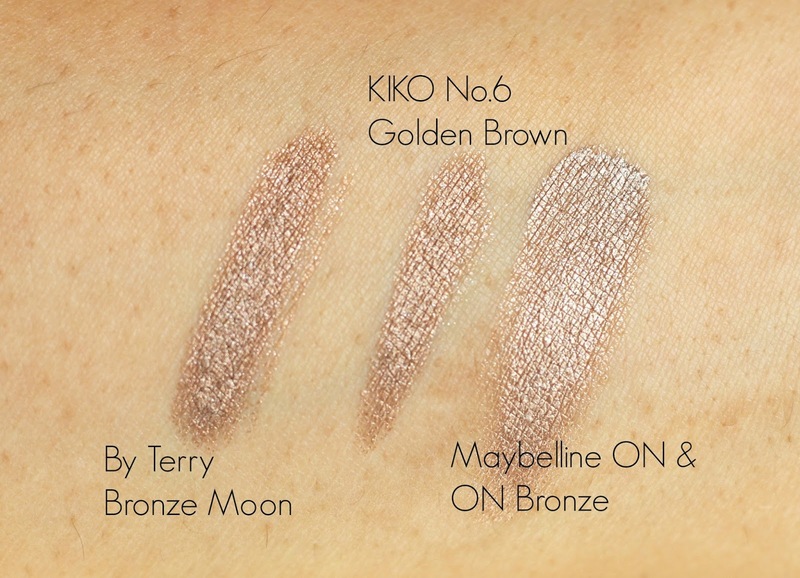 Speaking of the formula, By Terry is a bit more creamy, lasts without fading or creasing, gives you enough time to blend and play around with it before setting, yet sets much faster than the KIKO eyeshadow. Making it less prone to getting rubbed off. Hope this post saves you some extra cash. But would you consider getting the KIKO eyeshadow or continue using the Maybelline color tattoo if you already have it? Or would you take the plunge and treat yourself with a By Terry Black Star Ombre?